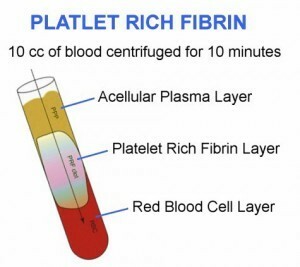 PRF stands for Platelet Rich Fibrin, a concentrate of your own cells, used as an organic alternative to synthetic solutions. In the past this procedure would have been compared to Platelet Rich Plasma (PRP) but PRF is unique because of its slow short centrifugation and absence of anti-coagulant or synthetic additive. This process will keep the growth factors more active for a longer period which contributes to the rejuvenation process. Similar to PRP, this is the perfect alternative for those patients looking for an organic approach to treat the first signs of aging. One vial of blood is drawn from the patient to fill at 13ml tube. The blood is placed in a special centrifuge and spun. How Long Do PRF Results Last? PRF generally is a series of treatments, spaced 6-8 weeks apart. Long term benefits, such as enhanced skin quality, collagen production and skin tightening may take up to 3-4 months to be noticed and can last from 6-12 months. The initial increase in volume will last 1-3 weeks. It can be used in conjunction with micro-needling and dermal fillers. To learn more about Platelet Rich Fibrin skin rejuvenation or how you may benefit from the treatment process, contact our San Francisco office by calling (415) 773-0800 to schedule a consultation today.